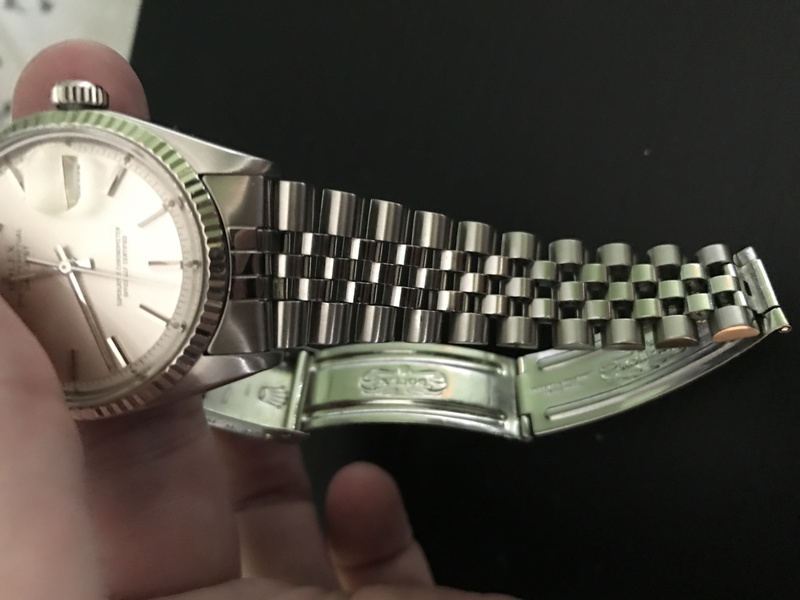 If you have ever handled an old Rolex watch, you have most likely come across the phenomenon of bracelet stretch. It is particularly prevalent in the “jubilee” style bracelet, where you will see the gaps between links growing larger and larger. Is your jubilee bracelet in need of Rolex bracelet repair? 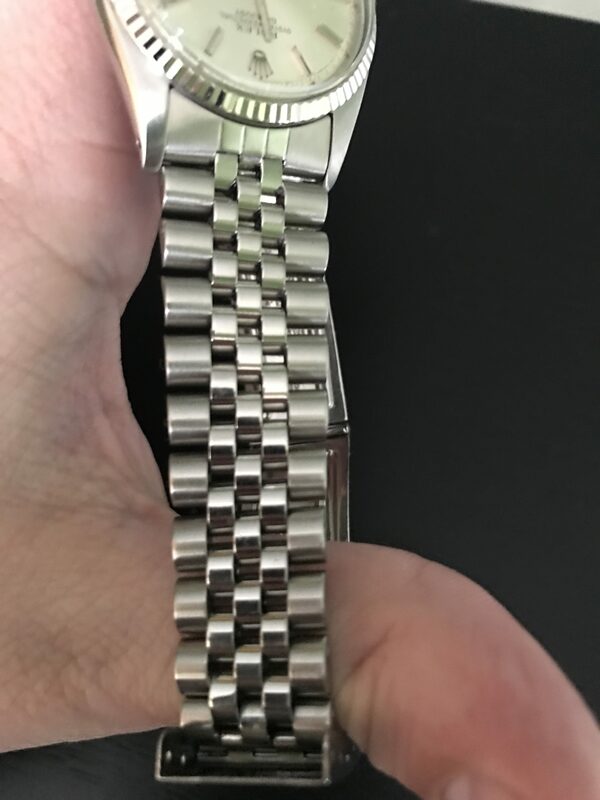 What is Rolex Bracelet Stretch? The bracelet does not usually actually stretch – the things are made from stainless steel so they are very strong. Solid gold centre links have been known to flatten due to the relative softness of gold, but what you are actually seeing is wear. The links are held together with little pins, which gradually wear away the circular holes into ovals over time. Bits of grit and dirt act as an abrasive and increase the wear, as does wearing the bracelet loose so the links are constantly rubbing against each other. In the worst case scenario, the bracelet can suddenly fail, sending thousands of pounds of Swiss timepiece crashing onto the floor. The traditional way to solve bracelet stretch is to buy a new one. The Rolex Service Centre will happily fit you (and charge you for) a new bracelet if yours is worse for wear. 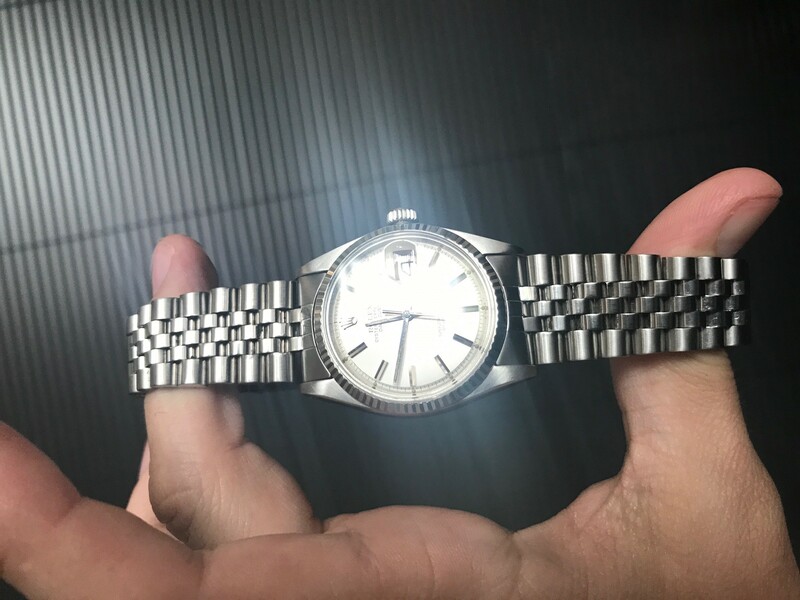 You can find genuine Rolex bracelets on eBay but they don’t come cheap and may be neither genuine nor a match for your Rolex watch. Aftermarket jubilee bracelets are also available from eBay but they can be of poor quality compared to the originals. If you want to keep your watch as “original” as possible, there is an alternative – bracelet refinishing. A chap called Michael Young in Hong Kong has been doing this for a while to race reviews on the Rolex forums. 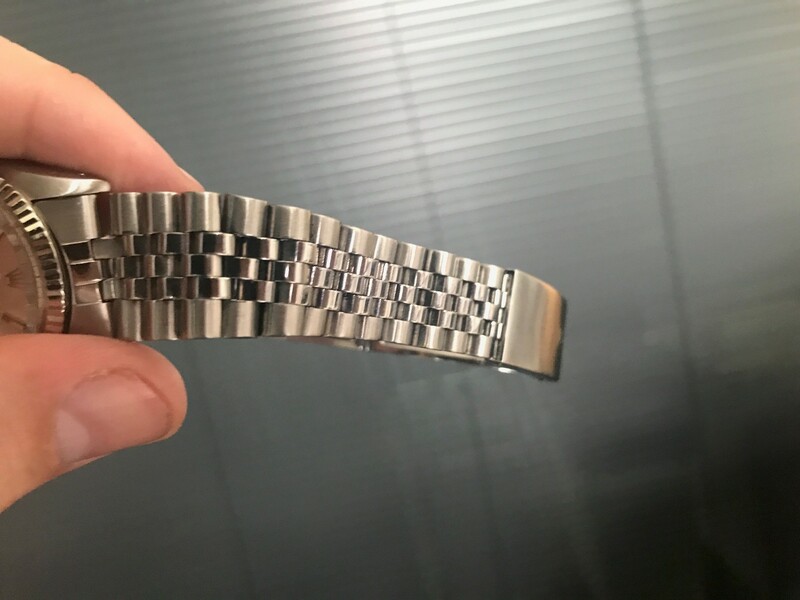 If you do not want to send your bracelet half way around the world, a company called TWD (TheWatchDealer) can refurbish your Rolex bracelet right here in the UK. The head honcho, Seth, is very pleasant to deal with and can get your worn, stretched jubilee bracelet looking as good as new. 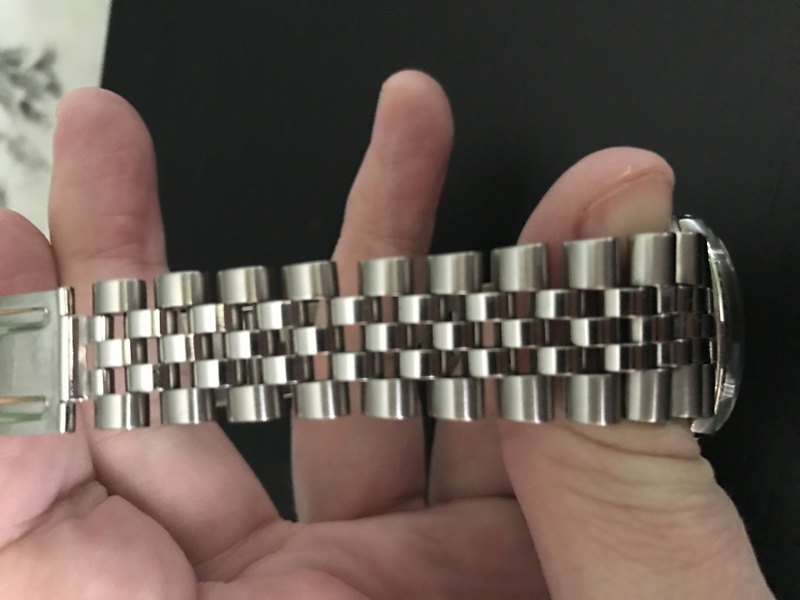 I sent him my battered 1977 Rolex Jubilee for him to work his magic, and here are the results. 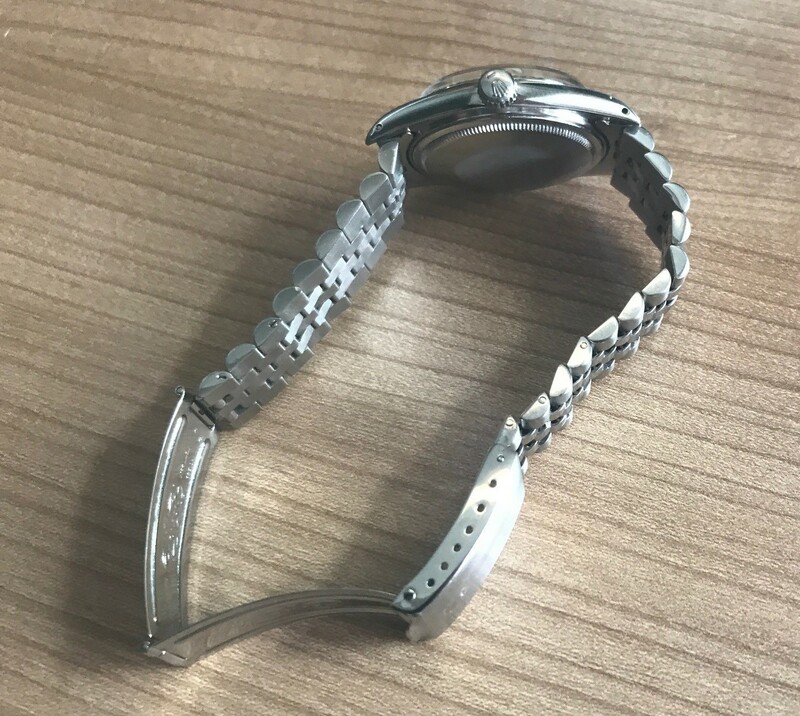 The bracelet was in a sorry state – the links were severely worn and gave a distinct, gap-toothed look to the watch, which no longer fitted properly on the wrist and it was at risk of snapping completely in places. The links are worn and “gappy” – particularly near the clasp, where there is very little metal left. Seth works by pulling apart every single link, checking it for damage, wear or rust, and then replacing the internal pins (and the links themselves if necessary) to tighten the whole thing up. My jubilee bracelet needed five new links in total, and the parts he returned to me were in indeed in a sorry state! I couldn’t be happier with my refurbished bracelet. It looks like new and is ready for another 40 years of wear. It cost a fraction of the cost of a genuine replacement bracelet and the watch remains almost totally original. The only downside was the wait time – Seth’s services are in such demand that there is a queue of about 12-14 weeks and communication can, understandably, be patchy as he focusses on fixing watches rather than answering emails from impatient customers! I found TheWatchDealer totally trustworthy and Seth did a great job. Find out more at the website www.thewatchdealer.co.uk.